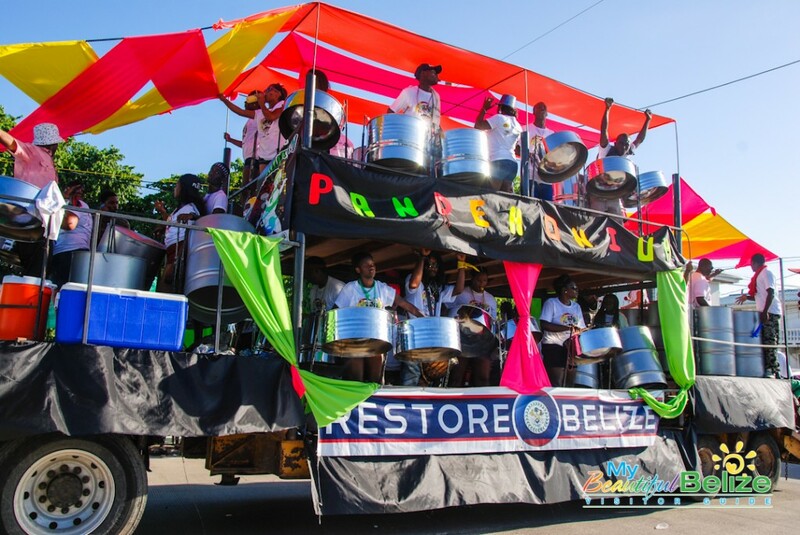 The 2015 Carnival Road March took place on Saturday, August 12th and saw thousands of Belizeans making their way to Belize City for the highly anticipated event. 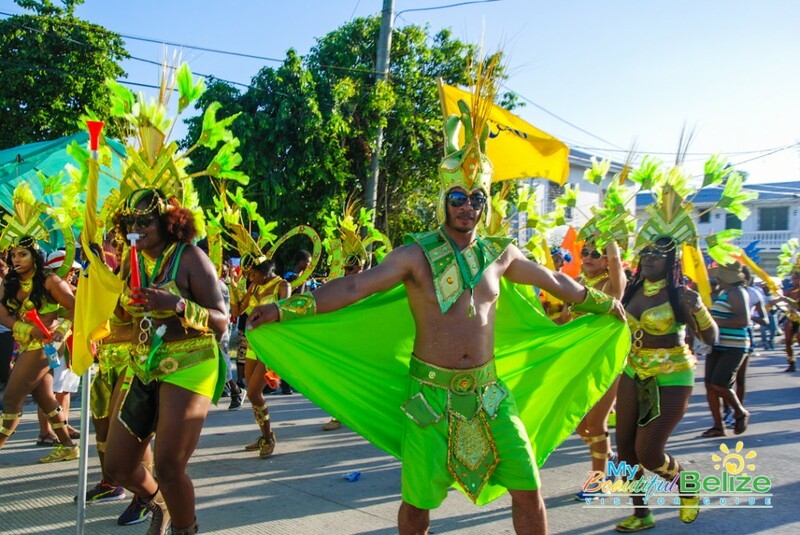 Held annually since 1975 as part of the September Celebrations, carnival has been growing each year and has become one of the biggest shows of culture and patriotism in the country. The event starts with pre-dawn J’ouvert and ends with a jump up party at BTL Park immediately after the parade. Prior to carnival day, organizers held the King and Queen completion on Saturday, September 5th. During this event, judges got the first look at the groups’ costumes and selected the best in both categories: junior and senior. Winners for this competition are as follows: Junior Queen- 1st Mahogany Masqueraders, 2nd Jump Street Posse, 3rd Collet Royal; Junior King- 1st Jump Street Posse, 2nd Pickstock Carnival Band, 3rd Sunshine Masqueraders; Senior Queen- 1st Titans Mas Band, 2nd Mother Nature Creation, 3rd Evolution Mas Band; Senior King- 1st Titans Mas Band, 2nd Soca Moca Carnival Band, 3rd Mother Nature Creation. On carnival day, J’ouvert kicked off the event at 4AM. Thousands of citizens came out to the street party, which sees participants painting themselves with colored mud, chocolate and paint. The road march itself started at 1PM from Caesar Ridge Road on south side Belize City. 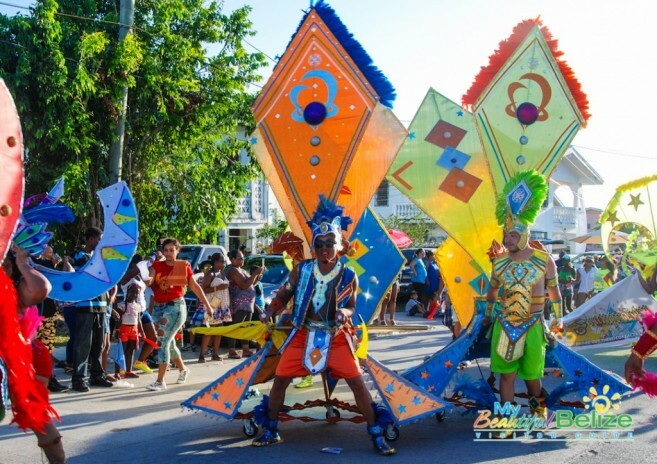 Led by the Belize Police Department, dancers in elaborate and colorful costumes made their way up Marine Parade Drive at the BTL Park. Spectators lined the assigned streets of the parade to get their chance to view the spectacle. Judges tasked with selecting the winner of this year’s carnival were stationed at two key locations. 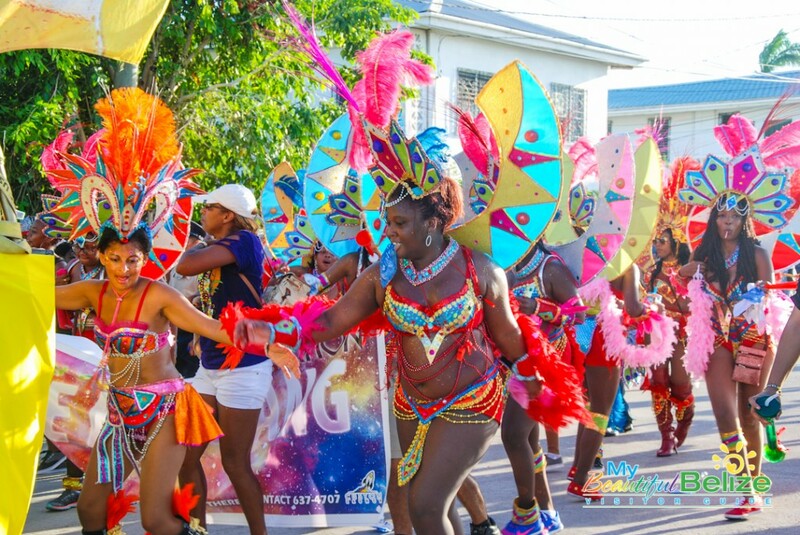 In the end top honors in the Junior Category went to Jump Street Posse in 1st, Mahogany Masqueraders in 2nd and Sunshine Masqueraders in 3rd. 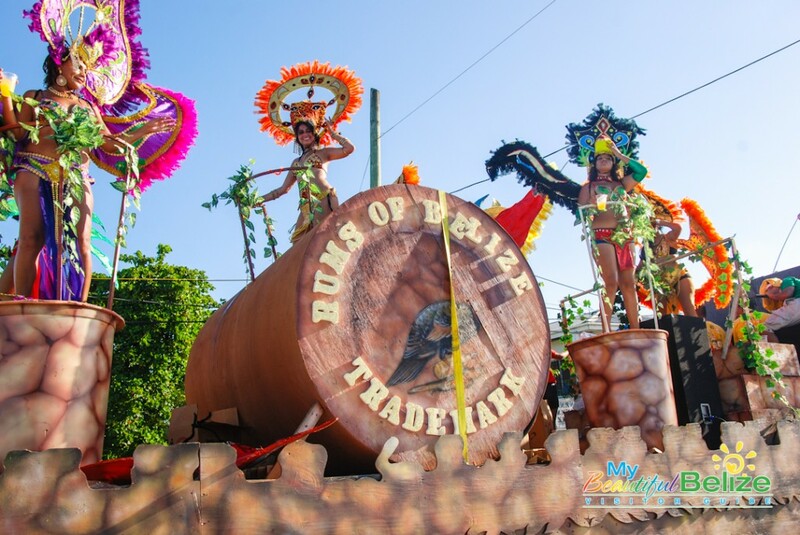 Taking 1st place in the Senior Category was Soca Moca Carnival Band, while 2nd and 3rd went to Princess Mother Nature and Titans Mas Band, respectively. Congratulations to all winners! Long live Carnival!